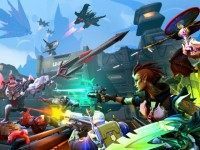 Gearbox Software’s first-person shooter/MOBA hybrid Battleborn launches May 3 on Playstation 4, Xbox One, and PC. 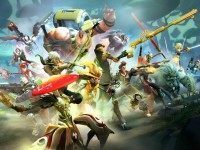 This comprehensive trailer details the story, gameplay, characters, and more of the upcoming first-person shooter/MOBA hybrid Battleborn. 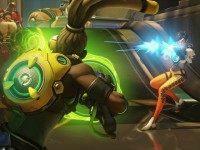 Watch the cast for Gearbox Software’s MOBA/FPS hybrid Battleborn come together. The latest trailer for Gearbox Software’s co-operative/competitive first-person shooter/MOBA hybrid, Battleborn. Last weekend, Activision Blizzard gave the peasantry a large a glimpse of their upcoming shooter/MOBA hybrid Overwatch. Against all odds on these preview events, it seems to have gone off without a hitch. Check out the reveal of the 5 vs 5 competitive multiplayer found in Battleborn, the new co-op focused FPS/MOBA mash-up from the creators of the Borderlands series. 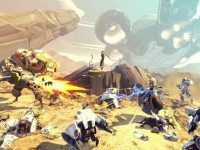 New first-person shooter Battleborn, developed by Gearbox Software, the creators of the Borderlands and Brothers in Arms series, will be at E3. Battleborn will be released on PC, PlayStation 4, and Xbox One this winter.